In December 2017 the International Association of Relational Psychoanalysis and Psychotherapy (IARPP) announced that it would locate its 2019 conference in Tel Aviv. 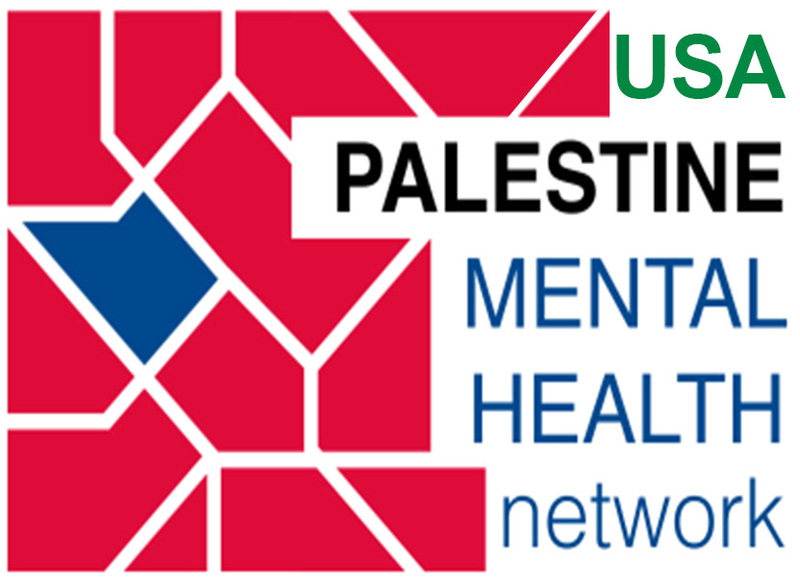 A letter of protest, jointly written by American and Palestinian clinicians, was issued by the USA-Palestine Mental Health Network in an initiative supported by Jewish Voice for Peace. The IARPP Board have issued what, at first sight, may strike one as a thoughtful response, (text appended to this statement, below). In brief, the IARPP makes the point that it is not a political organization, that the Conference will be a forum in which the issues facing Israel/Palestine will be properly aired, and that efforts will be made to ensure the participation of Palestinian colleagues. The arguments contained in the IARPP letter are, we believe, deeply flawed. A decade ago the claim ‘we are not a political organisation’ may have been convincing. In 2018, however, no organisation stages a major event in Israel unaware of the political message that it conveys to the world. Rather than counter the USAPMHN’s claim that this decision normalises an abnormal situation, the IARPP compounds the offence: it is re-locating the conference, it suggests, that would create an abnormality, ‘singling out’ Israel, ‘taking sides’, and ‘closing dialogue’ (which, of course, is not at all what the USAPMHN was proposing and is not relevant to their submission). On the Board of IARPP are clinicians who have made their awareness of and concern over the nature of the Occupation known to us all, and who will certainly have considered in depth their position vis a vis the application of moral pressure on Israel to reform. They cannot but have been aware of the impact of this decision, and its meaning. The choice was a political one, taken in the knowledge that it would be challenged. “At the checkpoints I am suddenly faced with the concrete human meaning of life without hope, life without any semblance of the autonomy that I completely take for granted. The facts were available to me but I did not imagine the humiliating routine, the helpless submission and fear that this routine breeds in the other; I did not imagine the arbitrariness, numbness, and cruel automatic functioning that it breeds in us. All those become concrete and undeniable at the checkpoints. As in the return of the repressed: I now know that until now I knew nothing.” (Ullman, C. (2006) ‘Bearing Witness: Across the Barriers in Society and in the Clinic’, Psychoanalytic. Dial., 16:181-198 p. 183). This was published twelve years ago, since which time the situation has deteriorated exponentially. It appeared before the successive massacres in Gaza (2008-9, 2012, 2014), and before the institution in 2007 of a medieval siege there in which almost two million civilians live a hellish present that, for certain, none of ‘us’ can come close to imagining. Since 2006 the checkpoints, the relentless plunder of Palestinian land, the house demolitions, the ethnic cleansing of areas inside Israel and the West Bank intended for Jewish-only habitation, the extra-judicial executions, the torture of children – the relentless assault on the physical and psychological personhood of the Palestinian people – has continued unopposed. Politicians and journalists turn a blind eye, leaving a void and raising the question as to who has the responsibility to provide an effective ‘moral Third’. Knowing this, and aware of the expressed request of Palestinian civil society that we do not normalise Israel, one is led to ask: what is the point of witnessing, if not to motivate people, collectively, to take action to address the injustices being recorded? Is it to demonstrate ‘our’ own humanity, rather than to strengthen our resolve to act in solidarity with the Palestinian people? The situation is fairly clear. There are equal numbers of Jewish Israelis and Palestinians living inside Israel/Palestine. There is an extreme asymmetry of power that leaves Palestinian communities exposed to systematic abuse. It is a common place of the study of settler colonialism that the process of dispossession by the colonial power is, for psychological reasons, necessarilyaccompanied by the dehumanisation and demonization of those whose land is required but whose presence is an inconvenience (see eg P. Wolfe, Traces of History, 2015). A discourse amongst psychotherapists in which real concern is shown for the sensibilities of Israeli colleagues but which appears indifferent to the expressed wishes of the Palestinian community, is perhaps illustrative of this dynamic. We sense this, too, in the preoccupation with maximising the participation of Palestinians in the Conference itself: whose needs is this intended to meet? In the context of the Occupation, how do we assess the significance of a dozen or so Palestinians participating in a psychotherapy conference, when the everyday business of occupation continues. It is quite likely that any Palestinians who could get through the checkpoints to attend the conference in Israel could just as easily attend a reasonable alternate venue. Holding the conference in Israel glosses over, (or some would say, provides a fig leaf for) the ongoing psychological traumatization of the whole Palestinian community. Yes, some Israelis will be affronted by a decision to hold the conference elsewhere: it is the point of a protest to make an impact. The protest is not a call to close down dialogue, and we welcome the proposal to move the Conference to nearby Cyprus. This would send a message of solidarity not only to the Palestinian people but also to Israelis committed to racial equality and democracy, such as the psychiatrist, psychotherapist and human rights worker Dr Ruchama Marton (see https://www.haaretz.com/opinion/.premium-1.814203 requires paid subscription). “We do not know what the charges are against Mr. Amira, but we are sure that, as the sole democracy in the Middle East, he will have a just and decent court hearing (as all Israelis and Palestinians receive in the Israeli courts)”. This suggests a lack of understanding, (or a wish to confuse others), about the nature of Israeli society. B’Tselem, the Israeli human rights organisation, last year declared that it would no longer use Israeli legal structures to seek redress for human rights abuses, because Israeli courts were merely rubber stamping oppressive actions by the authorities. The disregard for international standards of judicial process by the military courts in the West Bank has been repeatedly exposed. The IARPP letter talks of its commitment to ‘promoting values that are integral to the creative development of relational psychoanalysis’. We agree with this, but would go further, and ask the IARPP to clarify those values which it believes are integral to the practice of our profession. High up on our list would be universalism, the belief that we belong to one human race, a value that conflicts with philosophies and social structures that privilege particular ethnic groups over others, which the Israeli government unambiguously supports and indeed, continues to find new ways to implement. To suggest that meeting in Israel is simply to take our discussions to a troubled, ‘complicated’ situation about which there are a number of equally valuable perspectives is, we believe, to betray those values. We are writing to you in regard to the petition recently posted in protest of the 2019 IARPP conference that is being held in Israel. As we do in considering the location of all IARPP conferences, the Board engaged in an open and deliberative process before deciding to hold the conference in Israel. If we chose our conference locations by judging the political decisions of national governments, we might well have a hard time finding an ideal setting that would fit everyone’s preferences and values. Indeed, some international members have protested our decision to host the 2018 IARPP conference in the United States, given the current political situation in the US. We decided that holding the US conference as planned-while making the political turmoil the theme of the meetings-would make for a meaningful experience that would help us all think through the difficult problems that confront us. In a narrow sense, we are not a political organization. But we do hold, advocate and stand behind a set of values and principles: Namely, the inclusion, protection, and free expression of a diverse set of views, essentially trusting the political values that do, or should, underlie a democracy. This of course includes the concern for universal human rights . Yet, we feel that to allow our organization to single out one country for a boycott would be to practice the politics of exclusion. Boycotts will not help us fulfill our central mission: promoting values that are integral to the creative development of relational psychoanalysis. Members of IARPP hold a variety of views about many political issues, including the Israeli/Palestinian conflict. One of the Board’s responsibilities is to honor the right of all members to independently voice their views of history, current events and what would best promote peace in the Middle East and around the world. We are all deeply affected by this. It is not the responsibility of IARPP to side with one view of this complicated history– or to base organizational decisions on it. We are a professional membership organization. Our conference location does not imply a judgment on the policies or politics of any particular location; our conference location reflects our respect for the professional contributions of our international chapters, our effort to support their continued professional development in their part of the world, and our attempts to better understand the difficulties faced by the communities we serve. Finally, hosting the conference in Tel Aviv will permit us to welcome the diverse voices of our Israeli Jewish and Arab colleagues along with multiple international perspectives. We intend to offer opportunities for conference attendees to travel to the Palestinian West Bank. We will be extending invitations to Palestinian colleagues, and we will work to enable their presence with us. Rather than foreclosing those issues and silencing conversation, we aim to create within our relational psychoanalytic conference an open and safe space in which attendees across the political spectrum can engage and exchange views. We believe that dialogue, more than ever, is needed across divides.